Knowledge of environmental issues and sustainability is increasingly important as industrialization and climate change continue to wreak havoc on our ecosystems and our psyche. As temperatures rise—and icecaps shrink and storms lash our coastal areas into oblivion—being smart about carbon footprints, waste streams and consumer choices becomes increasingly important for all of us. 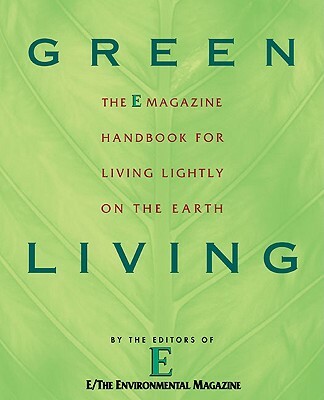 With advice on everything from planet-friendly cosmetics to home-based renewable energy, and straight talk on hemp, hybrids and hair dye, Green Living is the ideal reference for both the neophyte and the experienced environmentalist. E: The Environmental Magazine, or simply E, is an award-winning environmental magazine, covering topics from water quality to overpopulation to climate change, and what readers can do to make a difference. It has won and been nominated for thirteen Independent Press Awards. The archive of back issues is now available at emagazine.com, with new editorial content provided by its sister site, EarthTalk.org, the online home of the internationally syndicated EarthTalk Q&A column. EarthTalk is produced by Doug Moss and Roddy Scheer.